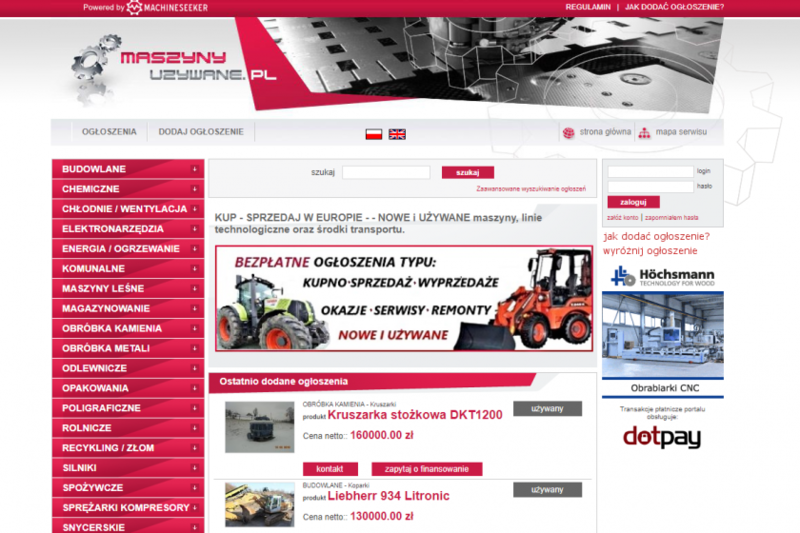 Machineseeker has secured the rights to the platform of its largest Polish competitor Maszynyuzywane.pl, thus consolidating its position as the leading used machinery marketplace. With Machineseeker.pl we already operate the largest Polish marketplace in the field of stationary used machines. With Maszynyuzywane.pl we were able to acquire the platform of our largest competitor in Poland as market leader at the beginning of the second quarter. The marketplaces have now been merged. Polish potential buyers thus have access to the entire range of our global advertisers. „Poland is the largest market for us in Europe after Germany. By merging Machineseeker.pl with the second largest Polish online marketplace for used immobile machines, our customers now have access to an even larger buyer base in this important market”, says founder and managing director Thorsten Muschler. Including its international websites, Machineseeker.com already reaches over 1.9 million potential buyers worldwide every month. Dealers of used machinery as well as manufacturing companies who want to sell machines can advertise their equipment worldwide on the marketplaces of Machineseeker and Maschinensucher – a sales commission is not charged. More than 140,000 sales inquiries are generated every month and transferred to the more than 5,500 sellers. The yearly value of goods inquired for via the more than 60 country-specific versions amounts to 10 billion euros.